Pretoria is about 45 km north of the OR Tambo International Airport (the international airport of Johannesburg). We will provide details about airport shuttles to the hotels and to the Groenkloof campus – the conference venue. The Gautrain is a modern train connecting the airport with a number of stations in Pretoria (about 50 minutes on the train). Pretoria and Hatfield stations are close to the recommended hotels and the campus and during peak arrival times we will have conference people at the Gautrain stations to assist delegates to get to their hotels. 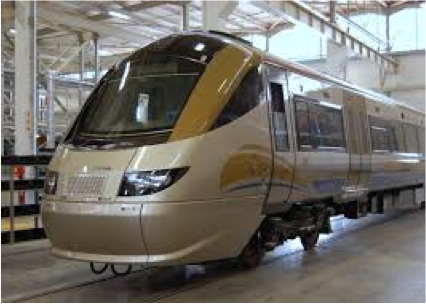 The Gautrain also runs to Johannesburg. Another option would be to rent car at the airport and drive to Pretoria. In South Africa we drive on the left hand side of the road (as in the UK) and the road from OR Tambo Airport to Pretoria is an excellent five-lane highway. Travelling by car is very popular in South Africa and the main roads are good. The conference will be held at the Groenkloof campus of the University of Pretoria - unfortunately not very close to the hotels. Hotels will provide shuttles to the campus. Uber is very popular (and affordable) in South Africa and delegates can use Uber for other public transport. The information provided here is to be used as a guide only. Please consult with the relevant embassy or your travel agency before you travel. Citizens of some countries need a visa to enter South Africa and there are quite strict regulations about travelling with children, e.g. that a parent cannot bring a child into the country without the other parent’s written consent and an unabridged birth certificate. More information at the South African Department of Home Affairs http://www.dha.gov.za/index.php/types-of-visas. Apply well in advance for a visa at the South African Embassy in your country. Letters of invitation for delegates attending the conference will be made available on the conference website as soon as registration fees have been paid in full. Please note that this procedure aims explicitly at assisting delegates who need to obtain a visa or permission to attend the conference. It is not an official invitation covering fees or other expenses and does not imply any financial support from the conference organisers. The South African Rand is the currency of South Africa. The currency code for Rand is ZAR, and the currency symbol is R. The most frequently used exchanges are between ZAR and EUR and ZAR and US$. At present (October 2018), one Euro is about ZAR 16.50, but this rate fluctuates daily. The standard electrical current used in South Africa is 220 volts AC. Electrical sockets (outlets) in South Africa are quite unique – no other country uses these and you will need an adapter. In July South African time is one hour ahead of Greenwich Mean Time (GMT+2). The South African country code 27 will allow you to call to South Africa from any other country. The code 27 is followed by an area code. The Pretoria area code is 012 (+27 12 xxxxxxx). There is no area code if you are calling a mobile phone (cell phone). July is midwinter in Pretoria, with daily high temperatures around 20°C (68°F), and an average temperature of around 13°C (55°F). Chances of rain in July are extremely slim. You will have lots of sunshine in daytime and cold nights. Buildings in South Africa are generally not that well insulated – so you will find it cold in the evenings. Sunrise will be at about 07:00 and sunset at about 17:30. Please check the validity of your insurance before you travel. The Local Organising Committee does not accept any liability for personal injuries, or for the loss or damage to property belonging to conference participants (or their accompanying persons) either during or as a result of the conference. The South African government is committed to nurturing and growing the tourist market and is aware of the challenges that stand in the way of healthy tourism growth. South African President, Cyril Ramaphosa, has committed to removing any unnecessary barriers that discourage travellers from coming to South Africa. To this end, the safety of all tourists is also of paramount importance to the South African tourism sector. Tourism creates much needed jobs and economic opportunities for many historically disadvantaged South Africans, often in areas where there are very few other opportunities. The South African government is well aware that crime remains a challenge in our country, and is elevating the fight against crime and corruption as one of our top priorities, both to ensure the safety and security of our own citizens, as well as visitors to South Africa, who are so important to us. In fact, most of South Africa's popular tourist spots, including beaches, game reserves and shopping precincts are extremely safe by any standards. South Africa is working with tourism stakeholders and other government departments to make these places, and some of our urban precincts even safer and more tourist friendly. Thankfully, South Africa has been spared the terrorist attacks experienced in many countries in the world. South Africa takes great pride in its cultural and religious diversity. Most visits to South Africa are trouble-free, but you should take sensible precautions to protect your safety. Tourists in South Africa are the targets mainly of petty crime. Much of staying safe means following the safety rules you obey back home and following your intuition. There are certain areas that one should avoid but most areas are as safe as in most big cities in the world. Nobody can guarantee that there will be no problems with safety, but Pretoria is a fairly safe city and the Groenkloof area of Pretoria, where the conference will be hosted, is a very safe area - we travel there every day.